One of the trickiest parts of planning a party is knowing how much glassware to have on hand. First, consider simplifying your drinks menu. If the only wine you’re offering is champagne, the only wine glasses you need are flutes. A highball glass, in a pinch, can hold beer or water. You should offer wine glasses for wines, juice and water; straight-sided highballs for tall drinks; tumblers for spirits and juices; and martini glasses. 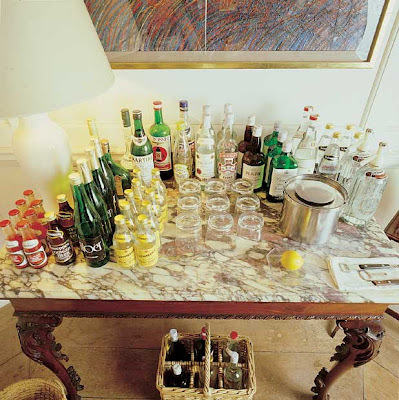 In terms of quantity, be ready with approximately twice as many glasses as you’ll have guests. A cocktail party usually requires 3 glasses per person. Don’t worry if all your glasses don’t match. Older glassware with some character to it is a great conversation starter. Keep an eye out on ebay and at thrift stores for good deals on vintage glassware. Another challenge in party planning is figuring out how much alcohol to have on hand. Choosing a cocktail menu can help. You can print up a menu of a few signature drinks in advance, and buy your alcohol according to what you need for each drink. As for the number of bottles you’ll need to buy, the general rule of thumb is to expect each guest to consume 1 or 2 drinks per hour. So multiply the number of guests by the number of hours your party will last, and then multiply that by 2, just to be safe. If you’re having 20 guests for two hours, you’ll need 80 drinks. Keep in mind, this number includes cocktails as well as wine, beer, and non-alcoholic beverages. A standard bottle of wine or liquor holds 750 milliliters, or a little over 25 ounces. If you’re pre-batching a pitcher (or carafe or bottle) of margaritas that uses 8.5 oz. of tequila, you’ll get almost 3 pitchers of margaritas from one bottle of tequila. Be sure to have lots of lemons and limes on hand! Break up the ice a bit and pour it into the cooler or tub. Fill with water and add your bottles. Beverages chill faster and colder in ice water than they do in ice alone, but you’ll have to replenish the ice as it melts so the drinks don’t warm up too much. 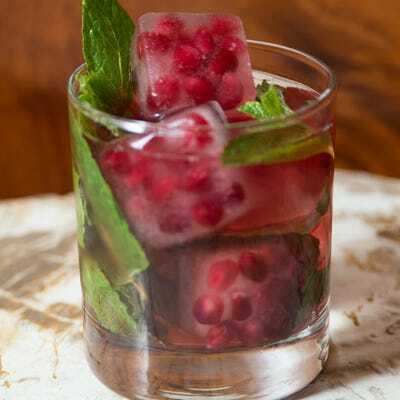 Consider investing in silicon ice-cube trays for easy removal, Large, heavy cubes of ice melt more slowly in rocks drinks than smaller cubes do, and they look more festive in a glass. If you have enough freezer space, you can start freezing ice several days in advance and store it until the day of the party. Is great for chilling bowls of punch, molded ice also gives you a canvas for a bit of creativity. Fill a large bowl, or several small bowls, with a mix of water and fruit juice. If you’re making a punch recipe that calls for pineapple or lime juice, for example, you can add pineapple or lime juice to the ice. Add slices of lime or chunks of pineapple to the bowl as well and freeze, at least overnight. 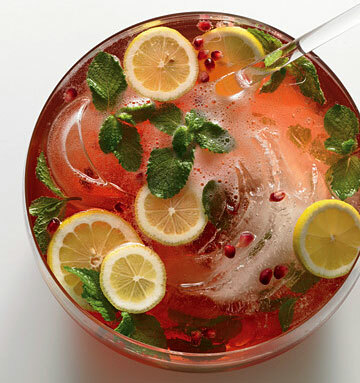 As the ice melts, it will “water” your punch down with juicy flavor instead of just water. 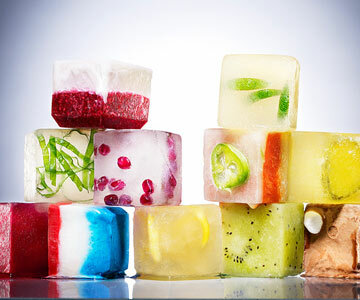 You can even add edible flowers (or other edible garnishes) to the ice, if they’re in season. When you’re ready to serve the punch, simply dip the ice bowl in warm water until the ice loosens from the bowl.